Inspired by conversations among independent consultants at the annual conferences of the American Evaluation Association (AEA), this volume examines topics unique to independent consulting, representing day–to–day realities and challenges that span the consultant's career. In examining these topics, contributors explore ways in which these evaluators think about, approach, and implement evaluation. There has never before been a compilation that addresses these issues unique to independent consulting. 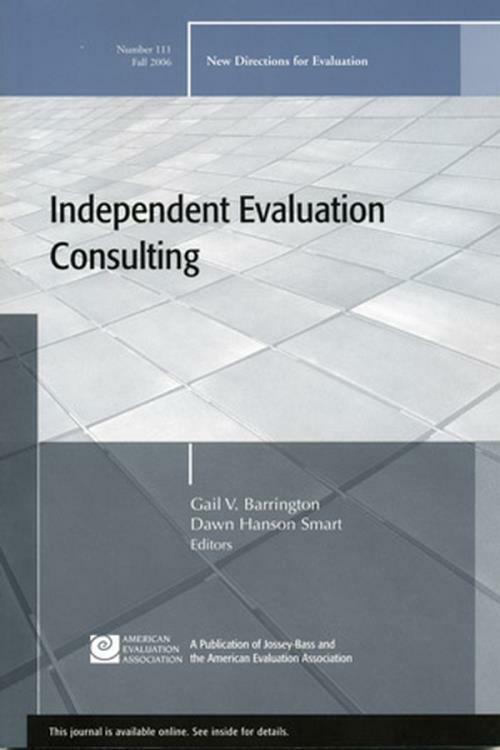 With the burgeoning interest in independent consulting, this topic is timely and should serve as a springboard to ongoing discussion among evaluators. This is the 111th issue of New Directions for Evaluation, a quarterly publication of Jossey–Bass and the American Evaluation Association. <a href="[external URL] here to view the entire list of titles for New Directions for Evaluation.